Chidinma Okoli: Now That You’ve Received Your January Salary, What Next? Chidinma Okoli: Now That You've Received Your January Salary, What Next? Payday is finally here! After 60 days of mild “famine” in January, you can now waltz into any bank and demand for your money! For some people, salaries have already come in, for others who haven’t, it is expected to come in this week. Whichever category you fall in, what is certain is that by the end of this week, you’d be flush with cash. This begs the question: “Now that you’ve received your January salary, what next?” Typically, the first thing that comes to mind is to pay bills; in fact, some people already have a truckload of outstanding debt that equals about 80% of their January salary. Some have spent their entire salary in their head before it even arrives, while others are patiently waiting for the arrival of the weekend so they can splurge half of their salary in clubs/bars, and live from hand to mouth the rest of the month. While there’s no harm in having a good time, before you go ahead to start paying bills and debts, have you actually paid yourself? Here are a list of important actions to take whenever you receive your monthly salary. Picture this scenario: you earn a monthly salary of 50,000 naira. When you receive this, you immediately spend 10k on paying your utility bills, 15k on groceries and feeding for the month, 12k on transportation costs, 3k on internet and communication costs, 7k on outstanding debt, and 5k on leisure. At the end of the month, you have successfully paid: the utility provider, the grocery seller, the internet provider, and even the bus conductor or petrol station attendant, but you’ve paid yourself nothing. All these people have gotten richer off you, while you have nothing to show for the salary you worked for and rightfully earned. This situation plays out every month, and you end up living from paycheck to paycheck throughout the year. This vicious circle can be stopped simply by deciding to always pay yourself first immediately you receive your monthly salary/ allowance/ wages, take out a part of your income (a minimum of 10%) and put it towards things that would be directly beneficial to the quality of your life, like investing and acquiring assets that would make more money for you. This money you’ve paid yourself belongs to YOU, and it should be deducted first before you begin spending on other things, so that you’re not left with sorry stories at the end of the day. If you do not start today to pay yourself first, at the end of all your years of work, you would have nothing to show for the years of salary you’ve received. So before you pay others, pay yourself first. It is no longer news that the billionaires of this world do not live on only one stream of income, so if you’re surviving on only one paycheck, you’re intentionally setting yourself up for a crisis. Investing is a great way to secure your future and earn additional future income. Now that you have successfully paid yourself first, that money shouldn’t be left lying in a bank account where it is earning less than 3% interest rate annually, it should be put to work by transferring it to an investment account where it is earning more money for you. There are a couple of affordable investment options that provides you with competitive interest rates above Nigeria’s current inflation rate. Carry out proper research, ask the right questions, and put your money to work. The more your money works for you, the more wealth you’re able to create, and the less number of years you’d have to work. Before the start of the new month, you need to review your January financials; how was your spending habit? Did you cut down unnecessary expenses by 10% like you said you would at the start of the year? Have you begun working towards increasing your savings and investments? Was your spending habit in January in line with your goals for the year? When you carry out monthly evaluations of your financial goals, it helps you track your performance and generally keeps you in line with your goals. You should create a new budget for each month as no two months are exactly the same. The difference might require a slight adjustment when creating your February budget, so when reviewing your January budget, look out for areas where you exceeded your budget, is the reason for the excess out of your immediate control (say hike in transport fare because of increased fuel prices), and likely to continue in the new month? Then you need to adjust your budget accordingly to accommodate this economic reality. 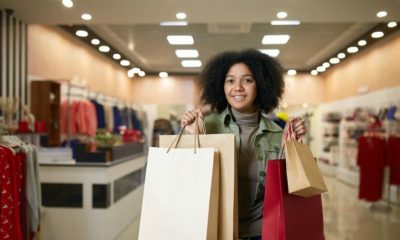 Find time to create a budget before January ends, especially as February 14 is on its way, which could be a season of extravagant spending for some. Plan ahead and budget for those expenses, so you don’t wipe out your entire monthly income on showing love. Most importantly, when your salary comes in this week, don’t forget to set aside at least 10% of your income, towards securing your financial future. Have you been paying yourself first, how has that worked for you so far? Let me know in the comment section. 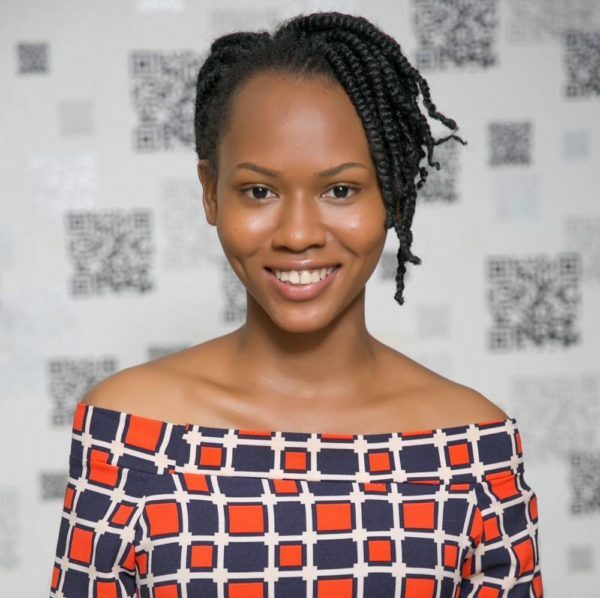 Chidinma Okoli is the founder of Financially Literate Africa, a millennial-focused company that provides easy-to-understand financial educational content, to help young Africans live their best live financially, and ultimately achieve financial freedom. She strongly believes that learning about finance can be fun, and she has successfully inspired hundreds of young adults across Africa into making intelligent investment decisions with their money through her Social Media Campaign tagged #NotTooYoungToInvest. Chidinma can be reached via email: [email protected] or on Instagram: @FinLitAfrica, Twitter: @FinLitAfrica, and Facebook: fb.me/finlitafrica. Am still waiting for my May salary. ???? This is really educative and I sure learnt a lot. The idea of the budget plan is the best. I started it last December and it’s been comforting. I’d look more into investment this year! Thank you Deborah! I’m excited that you’re enjoying the process of budgeting?. Good luck as you tread into the investment waters, let me know how it goes! Thanks Khadija! You can also start paying yourself first from your monthly allowance. No amount is too small. What is more important is that you develop the habit early on. I’m glad the article was helpful. Thanks! I’m glad it was helpful. Thanks a whole lot! A friend shared the link to this article earlier in the week – but I didn’t get to read it until this afternoon. Good Article, I think your arguments are spot on. I always have a budget for 6 months at any point in time, but I have long suspected that I never stuck to it, that I mostly over spent and made few allowance for saving. However, I never took the time to confirm where all my money went until this afternoon when I did my January account reconciliation. It’s crazy, when you think you earn so much and you don’t know where your money went. Some things are a MUST, but more often than not, I found that I spent my salary on things I could have done without. I hope to do the reconciliation more regularly- it will help me be more disciplined in my spending, hopefully for the long haul. Totally love that you have your budget 6 months in advance! And great that you’ve decided to take the reconciliation process serious, because it’s not enough to just have a budget, you need to constantly compare your budgeted to your actual spending, so as to ensure that you’re on track. Good luck! Hi Chidinma. This is a very interesting article. I realized that I have been financially supporting others without patting myself on my back too. You suggested saving money in an investigate account. Do you know of any operating in Nigeria? Hi Simi, yes there’s a couple of investment accounts operating in Nigeria. An example is the money market mutual fund. You can contact a fund manager to open an account. Great piece! This is so enlightening. Thank you Chidinma. You’re welcome! And thanks for reading.